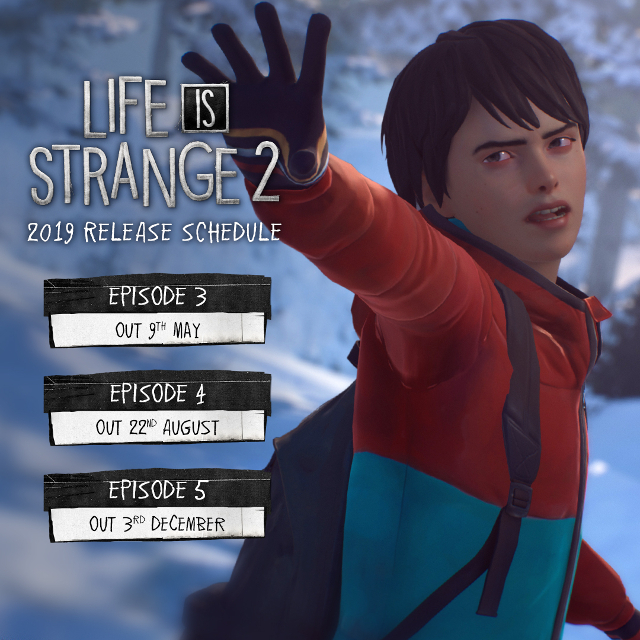 Square Enix has announced the release date for Wastelands, the third episode of Life is Strange 2. The episode will launch for Xbox One, PS4 and PC on 9th May, 2019. In Wastelands, Sean and Daniel Diaz continue their journey to Mexico, as they reach the towering redwood forests of California. Falling in with a community of drifters on the fringes of society, the brothers are exposed to new experiences, encounter new friends and new challenges, and must confront much about themselves in the process. Also announced is the planned release schedule for the final two episodes. Episode 4 will release 22nd August, 2019 with Episode 5 coming on 3rd December, 2019. Read our reviews of Life is Strange 2: Episode 1 – Roads and Episode 2 – Rulesto see what we thought of the first two episode.